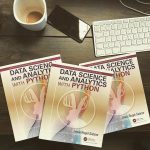 A collection of post related to my upcoming book “Data Science and Analytics with Python”Take a look and enjoy. Using the time wisely during the Bank Holiday weekend. As my dad would say, "resting while making bricks"... 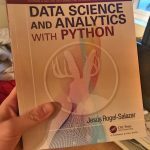 Currently reviewing/editing/correcting Chapter 3 of "Advanced Data Science and Analytics with Python". 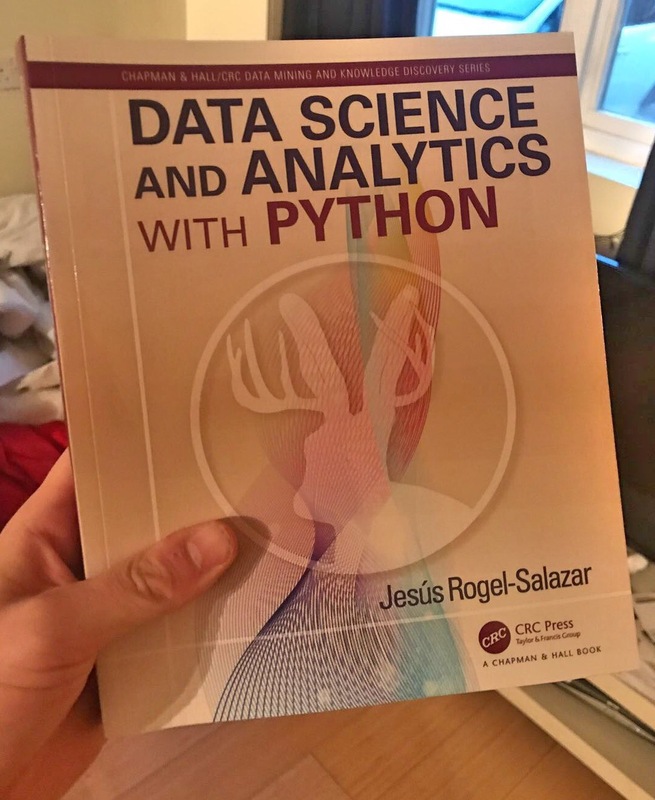 Yes, that is volume 2 of "Data Science and Analytics with Python". I rekindled playing board games with a couple of good friends of mine, and it has been a geeky blast! 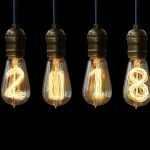 Looking forward to 2019, learning and developing more. Look how far we have come... We started this series by looking at what CoreML is and made sure that our environment was suitable. 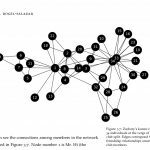 We decided to use linear regression as our model, and chose to use the Boston Price dataset in our exploration for this implementation. We built our model using Python and created our .mlmodel object and had a quick exploration of the model's properties. 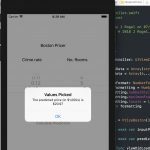 We then started to build our app using Xcode (see Part 1, Part 2 and Part 3). 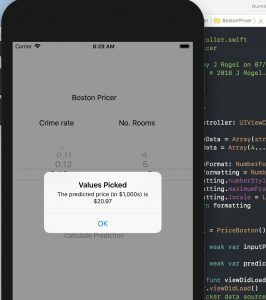 In this final part we are going to take the .mlmodel and include it in out Xcode project, we will then use the inputs selected from out picker and calculate a prediction (based on our model) to be displayed to the user. Are you ready? Nu kör vi! Let us start by adding the .mlmodel we created earlier on so that it is an available resource in our project. 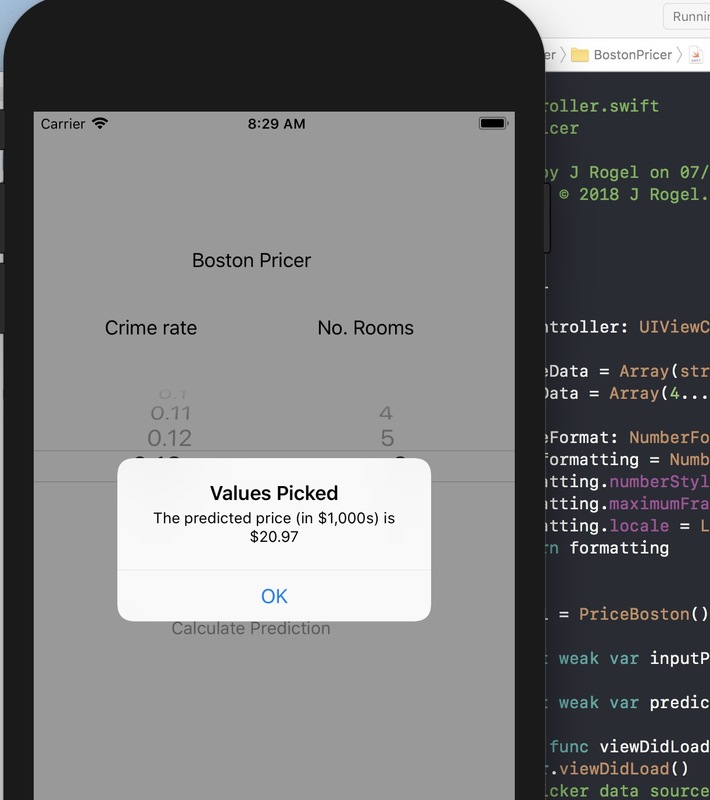 Open your Xcode project and locate your PriceBoston.mlmodel file. From the menu on the left-hand side select the "BostonPricer" folder. At the bottom of the window you will see a + sign, click on it and select "New Groups". 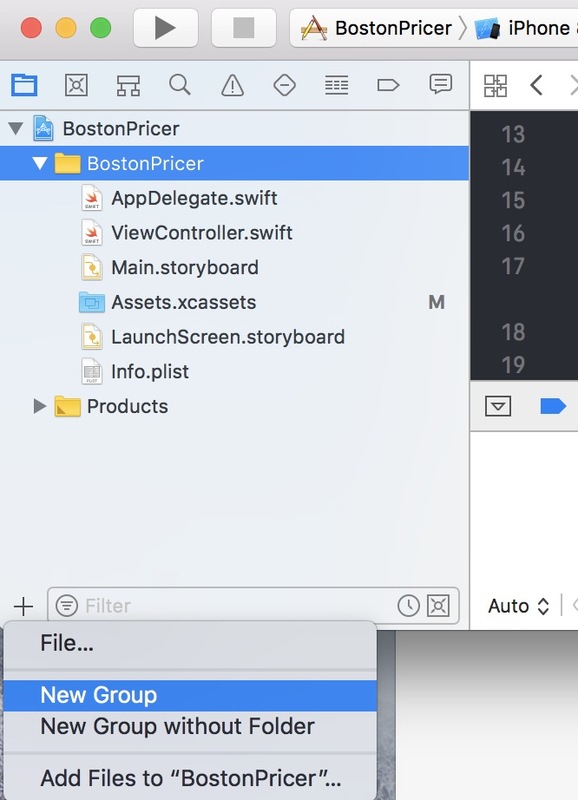 This will create a sub-folder within "BostonPricer". Select the new folder and hit the return key, this will let you rename the folder to something more useful. In this case I am going to call this folder "Resources". You will see that when you start typing the name of the model, Xcode will suggest the right name as it knows about the existence of the model as part of its resources, neat! let message = "The predicted price (in $1,000s) is " + priceText! We are done! 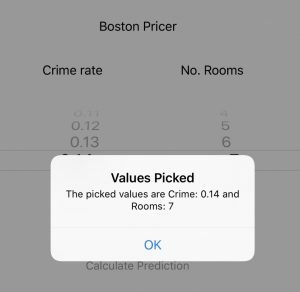 Launch your app simulator, select a couple of values from the picker and hit the "Calculate Prediction" button... 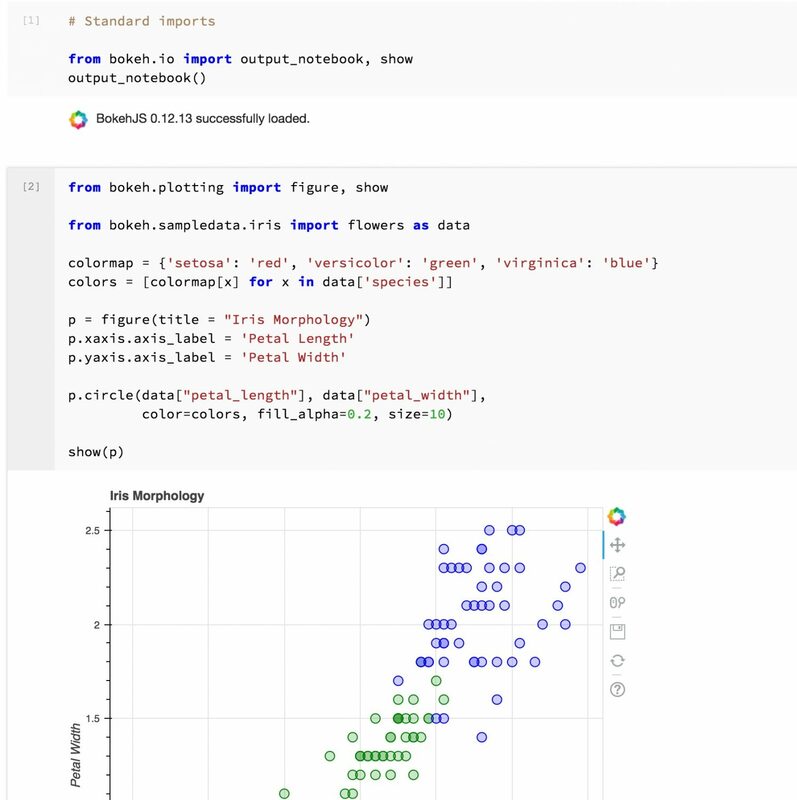 Et voilà, we have completed our first implementation of a CoreML model in a working app. There are many more things that we can do to improve the app. For instance, we can impose some constraints on the position of the different elements shown in the screen so that we can deploy the application in the various screen sizes offered by Apple devices. Improve the design and usability of the app and designing appropriate icons for the app (in various sizes). For the time being, I will leave some of those tasks for later. In the meantime you can take a look at the final code in my github site here. Enjoy and do keep in touch, I would love to hear if you have found this series useful. We are very close at getting a functioning app for our Boston Model. 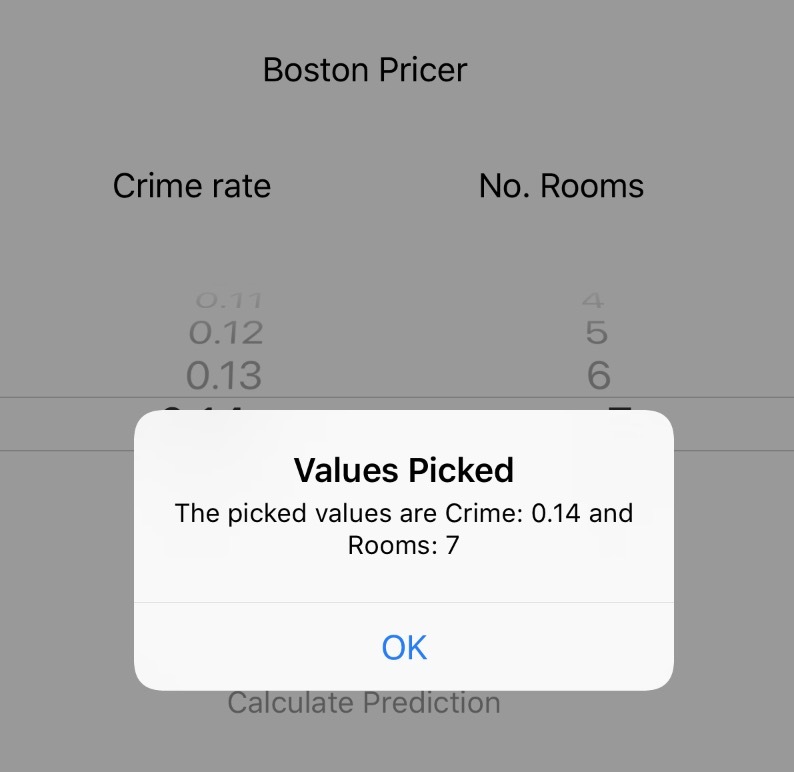 In the last post we were able to put together the code that fills in the values in the picker and were able to "pick" the values shown for crime rate and number of rooms respectively. 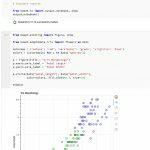 These values are fed to the model we built in one of the earlier posts of this series and the idea is that we will action this via a button that triggers the calculation of the prediction. In turn the prediction will be shown in a floating dialogue box. @IBOutlet weak var predictButton: UIButton! 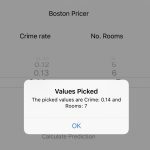 let message = "The picked values are Crime: \(crime) and Rooms: \(rooms)"
The first four lines of the getPrediction function takes the values from the picker and creates some constants for crime and rooms that will then be used in a message to be displayed in the application. We are telling Xcode to treat this message as an alert and ask it to present it to the user (last line in the code above). What we need to do now is tell Xcode that this function is to be triggered when we click on the button. You can now run the application. Select a number from each of the columns in the picker, and when ready, prepare to be amazed: Click on the "Calculate Prediction" button, et voilà - you will see a new window telling you the values you have just picked. Tap "OK" and start again! 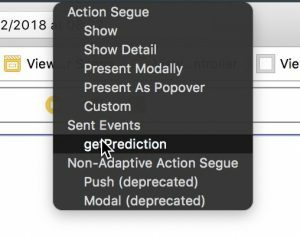 In the next post we will add the CoreML model, and modify the event for the button to take the two values picked and calculate a prediction which in turn will be shown in the floating window. Stay tuned. 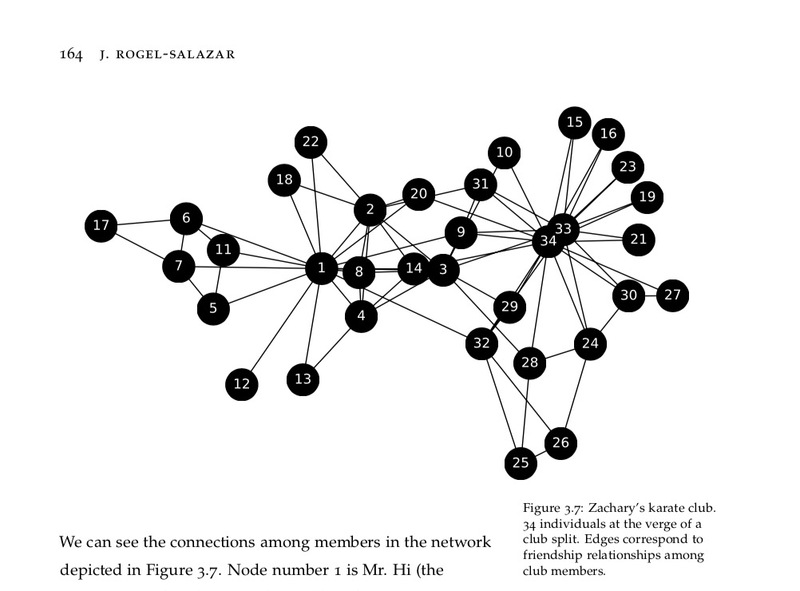 You can look at the code (in development) in my github site here. Nonetheless, there are some little annoyances that I have, for instance the fact that I need to launch a Kernel to open a file and having to do that "the long way" - i.e. I cannot double-click on the file that I am interested in seeing. Some ways to overcome this include looking at Gihub versions of my code as the notebooks are rendered automatically, or even saving HTML or PDF versions of the notebooks. I am sure some of you may have similar solutions for this. Last week, while looking for entries on something completely different, I stumbled upon a post that suggested using nteract. It sounded promising and I took a look. It turned out to be related to the Hydrogen package available for Atom, something I have used in the past and loved it. nteract was different though as it offered a desktop version and other goodies such as in-app support for publishing, a terminal-free experience sticky cells, input and output hiding... Bring it on! 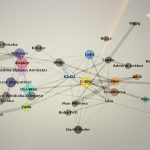 We all know how cool machine learning, predictive analytics and data science concepts and problems are. 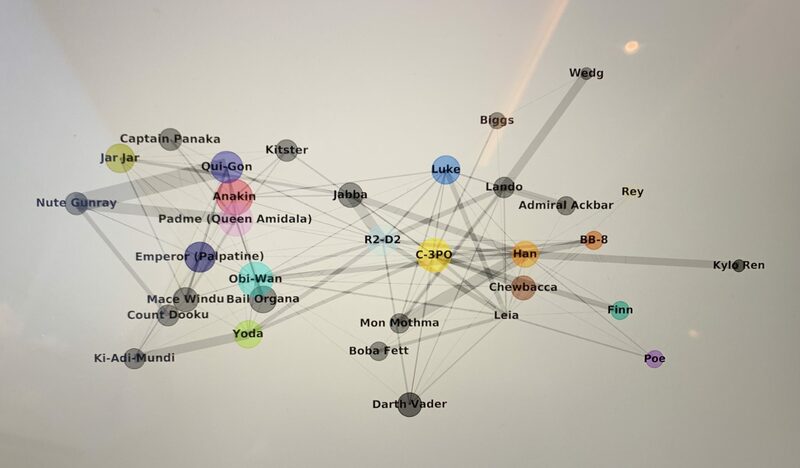 There are a number of really interesting technologies and frameworks to use and choose from. 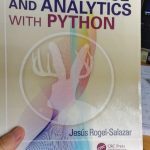 I have been a Python and R user for some time now and they seem to be pretty good for a lot of the things I have to do on a day-to-day basis. 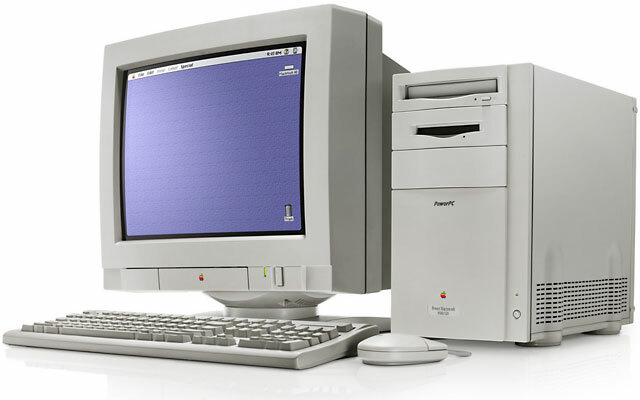 As many of you know, I am also a mac user and have been for quite a lot time. I remember using early versions of Mathematica on PowerMacs back at Uni... 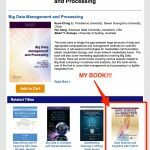 I digress..
Apple has also been moving into the machine learning arena and has made available a few interesting goodies that help people like me make the most of the models we develop. I am starting a series of posts that I hope can be seen as an "open notebook" of my experimentation and learning with Apple technology. 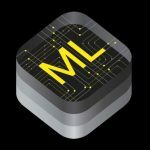 One that comes to mind is CoreML, a new framework that makes running various machine learning and statistical models on macOS and iOS natively supported. 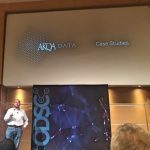 The idea is that the framework helps data scientists and developers bridge the gap between them by integrating trained models into our apps. Sounds cool, don't you think? Ready... Let's go! 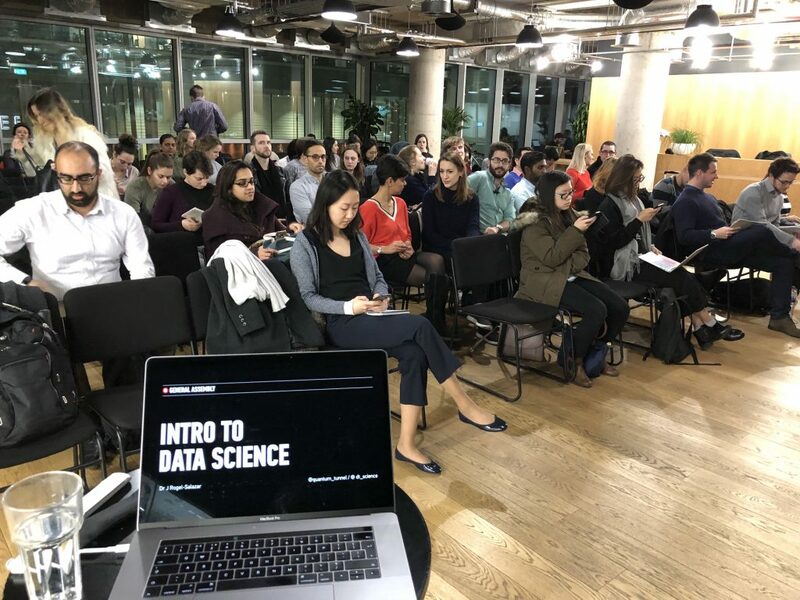 Data science is definitely in everyone’s lips and this time I had the opportunity of showcasing some of my thoughts, practices and interests at the Open Data Science Conference in London. 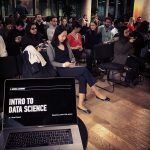 The event was very well attended by data scientists, engineers and developers at all levels of seniority, as well as business stakeholders. 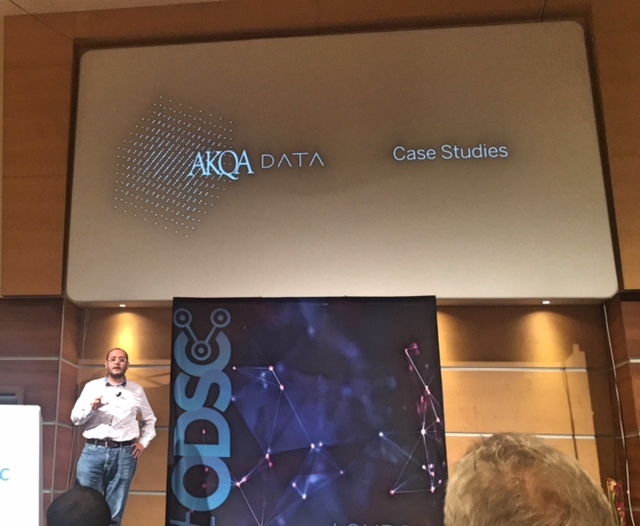 I had the great opportunity to present the landscape that newcomers and seasoned practitioners must be familiar with to be able to make a successful transition into this exciting field. 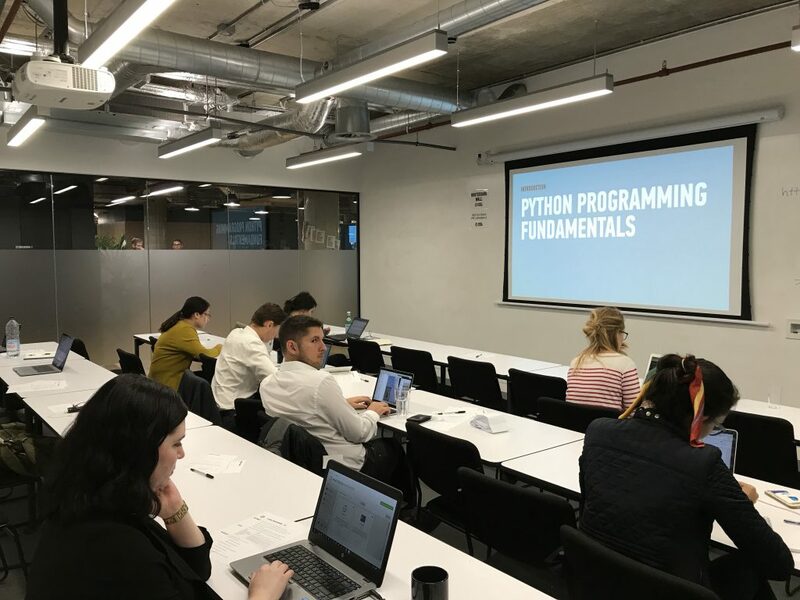 It was also a great opportunity to showcase “Data Science and Analytics with Python” and to get to meet new people including some that know other members of my family too. 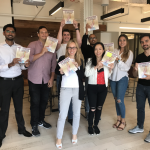 Earlier this week I received this picture of the team in New York. As you can see they have recently all received a copy of my "Data Science and Analytics with Python" book. 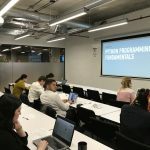 Another "Data Science and Analytics with Python" Delivered. Thanks for sharing the picture Dave Groves. 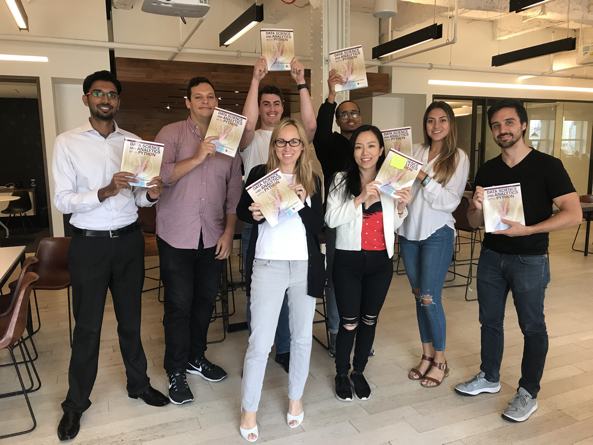 Data Science and Analytics - In the hands of readers! 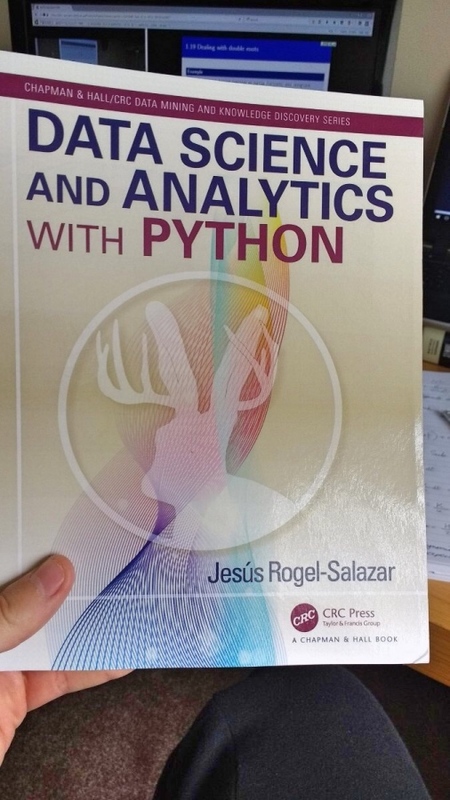 I’m very pleased to see that my “Data Science and Analytics” book is arriving to the hands of readers. 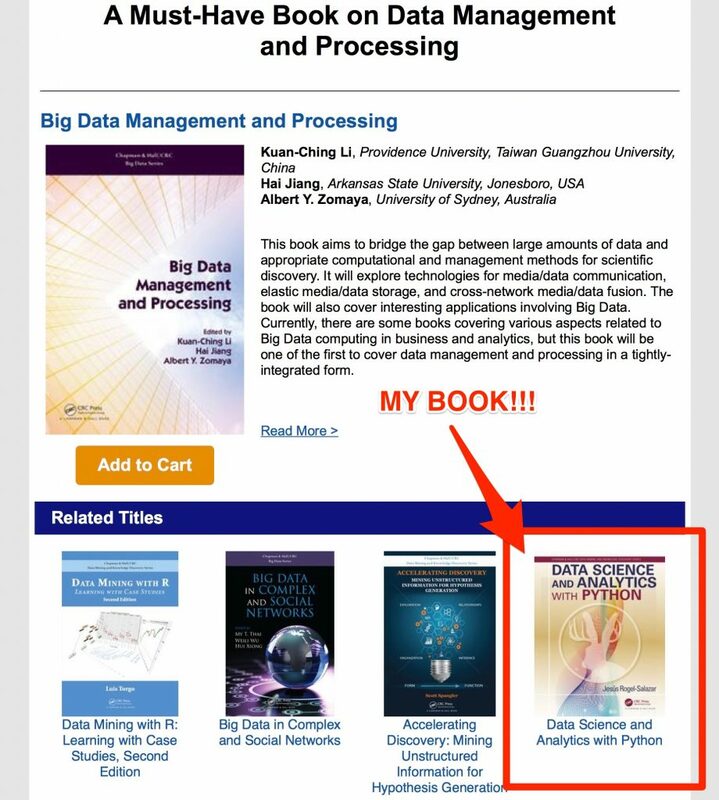 "Data Science and Analytics with Python" was published yesterday and now it is already appearing as a suggested book for related titles. You can find it with the link above or in Amazon here.